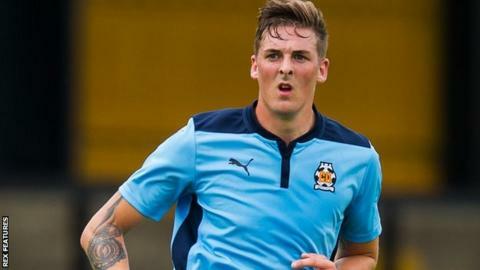 Cambridge manager Shaun Derry says midfielder Liam Hughes deserves credit for his improved effort in training. Hughes made his first appearance since Derry took charge in November in the U's FA Cup loss to Doncaster on Sunday. The 21-year-old had featured in 16 games this season under previous boss Richard Money, failing to score. "When I first came to the club one or two players weren't fit to be anywhere near the squad, Liam being one of them," said Derry. The former Notts County boss told BBC Radio Cambridgeshire: "I gave him an honest opinion of how I work and he took it absolutely in the right way. "He got himself out on the training field, in the gym and started to have a long hard look at himself. "If you look at him just in picture now compared to when I first came in just a month ago, he looks like a completely different person."